Have you started planning for back to school yet? I know, I have and I’m trying to come up with some recipes to make feeding my family easier during the school year. 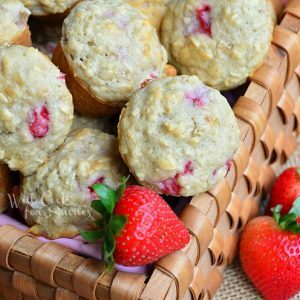 These Mini Strawberry Oat Muffins are not only delicious but they are also filling and easy to make. You always hear that breakfast is the most important meal of the day but how many of us actually eat breakfast? Especially during school year? You have to get up, get everyone ready for school and yourself for work, so coffee ends up being breakfast most of the time. My husband is especially bad about not eating breakfast because he wants to sleep as long as possible and gets up right in time to leave. I’ve been trying to come up some easy and filling breakfast ideas that you can just grab and go. These muffins (and more ideas to come soon) are a perfect little something to grab with you on the way to the car. 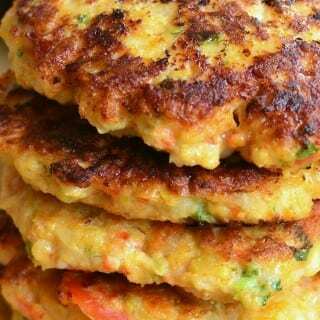 They are filling and healthy but the best part is, they are so yummy! 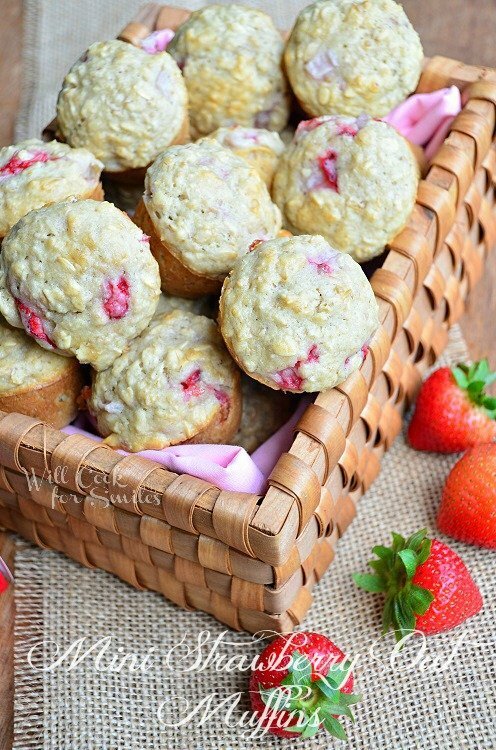 These mini strawberry muffins are also perfect to pack with kid’s school lunch (and snack.) I used to pack goldfish and other little crackers as a school snack for the little guy until one day, the teacher told me that he “exchanged” them for mini muffins with another little boy. I say “exchange” because toddlers have different rules and there wasn’t much of a choice given. I felt so bad that I brought extras the next day. It did give me an idea though, to make some mini muffins as a school snack. It’s perfect! 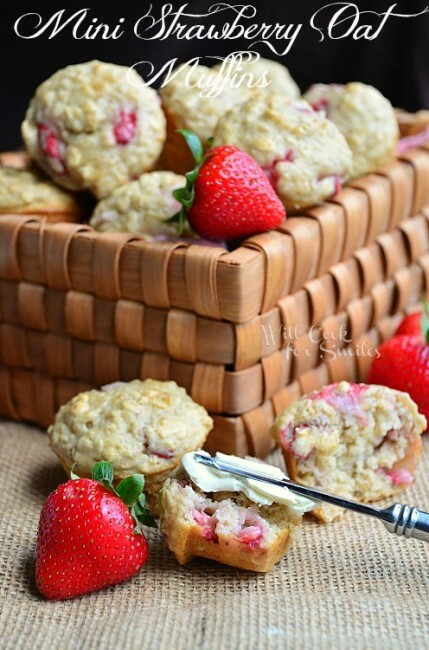 These Mini Strawberry Oat Muffins are not only delicious but they are also filling and easy to make. Preheat the oven to 350 and lightly grease a mini muffin pan. Divide the batter between the muffin cups, filling it 3/4 of the way. Bake for 14-18 minutes, until the toothpick inserted in the center comes out clean. Great snack idea and lovely pictures. I’m not a breakfast girl, but these would be wonderful for an afternoon snack with a cup of tea or milk. 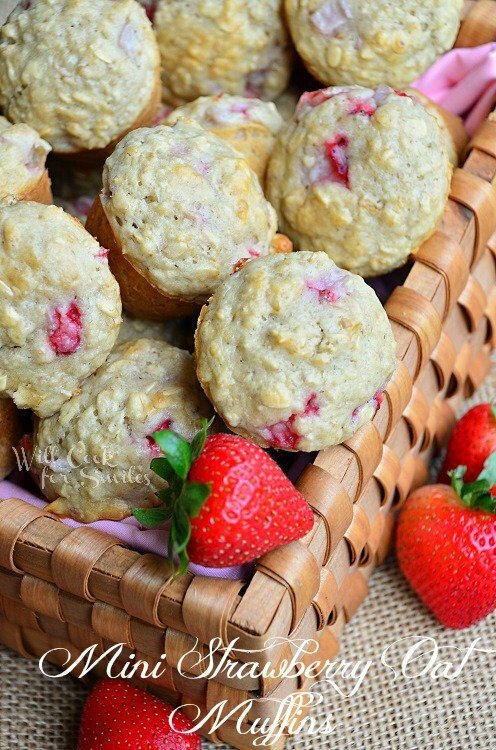 I love the fact that you used oats – roll oats? And you always have such fantastic photos! these sound yummy! I love anything where I can use buttermilk! 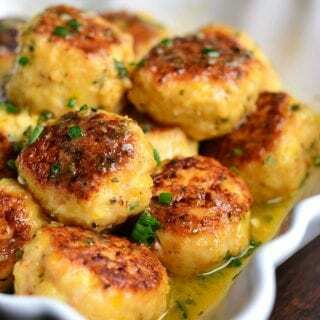 These really sound and look delicious. 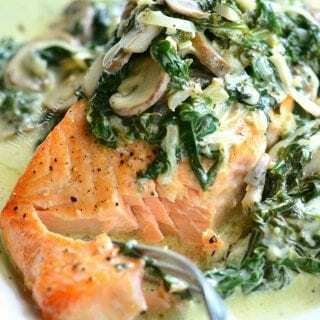 I have all the ingredients so will be making them in the morning. Thank you so much for sharing this at the Less Laundry, More Linking party. 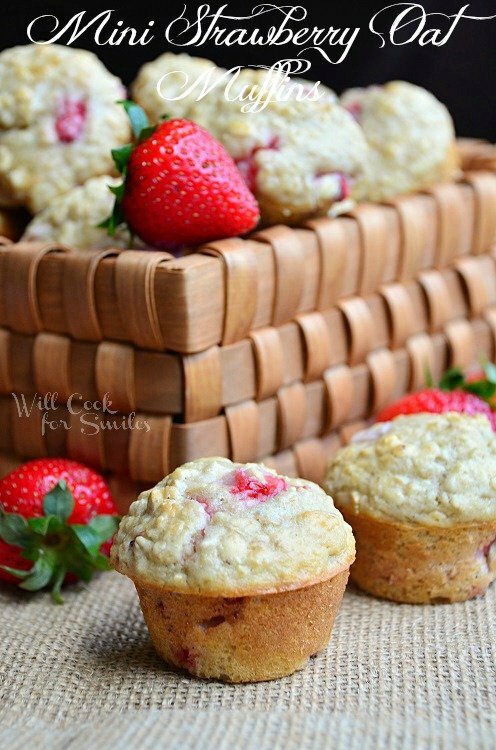 I have been looking for a great breakfast muffin to make, this will be perfect! Pinning it now. Lyuba, these looks and sound incredible – I also LOVE the White Wedding Cake Milkshake and I just loved your story! 🙂 My hubby would definitely sign up for the support group!!! 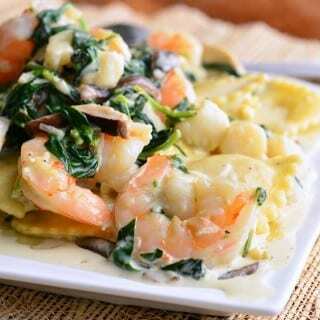 Thank you SO much for joining us and sharing your recipes at Best of the Weekend. Pinning to our party board and I’m definitely sharing this on FB over the weekend. Hope your weekend is fantastic! Thanks for the inspiration I’m pinning for later. Thanks for sharing this – they look lovely and they must be healthy if they have strawberries and oats in 😉 – as long as I don’t eat them all at once! Pinned these! They look great – thanks for sharing! 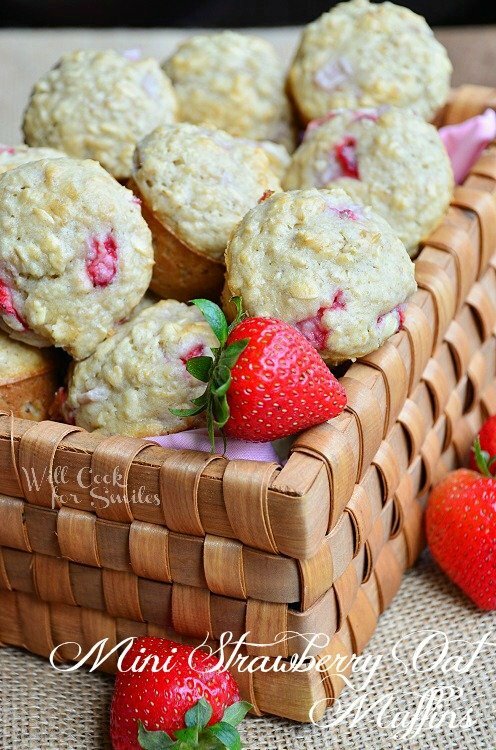 Was looking for a mini strawberry muffin recipe per my 3 year old’s birthday request — looks like I’ve found the one! Thanks so much!! I am so happy to help, Ingrid! Happy birthday to your baby! These are delicious. 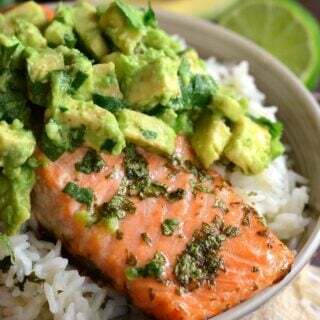 I will def print to put in my binder of regular recipes. 2/3 cup of sugar was plenty. Combined with the sweetness of the strawberries I might even use slightly less next time. My muffin tin must be a little smaller because I got 28 muffins and they were filled to the top. No complaints there though. They’ll be gone quick enough. 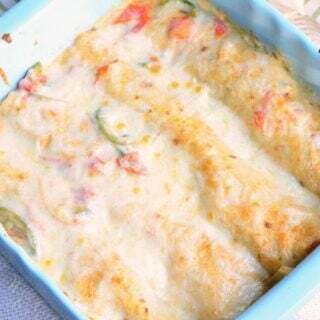 Thanks for the great recipe. Thank you, Kolleen! I hope you liked them and I hope they will thaw well for you!